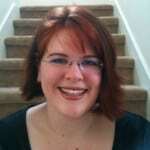 Thanks to Mary Maxim for sponsoring today’s post and sharing their love of crafting with all of us. Pin this post so you can share it with your friends and family! And just to make it easier for you this holiday season Mary Maxim has offered a coupon code just for YOU! 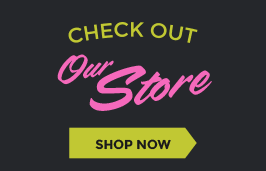 As followers of GoodKnit Kisses you can use discount code: GOODKNITKISSES for 20% off your next order from marymaxim.com. Yes! Kay’s Creation Afghan will dazzle you with unique stitch combinations in a monochromatic color palette. The neutral colors make the stitch patterns and textures come alive. Kit includes Mary Maxim Best Value Yarn and a I-9 (5.5 mm) crochet hook. Mary Maxim’s Best Value Yarn is one of the softest value yarns you will ever feel, and has impressive yardage. 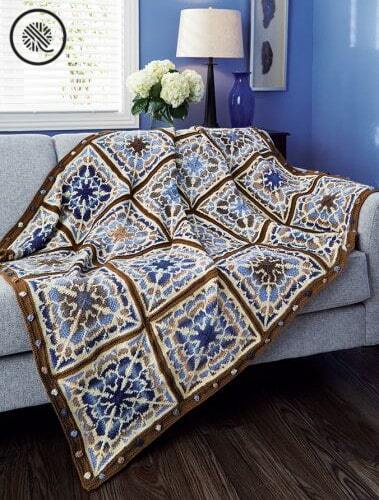 The Blue Love Afghan is a crowd favorite at Mary Maxim. This is a crochet showpiece, the kit includes Bernat Pop yarn shown in Blue Blaze. But there’s no reason why you can’t grab a few cakes of Violet Vision and have a Violet Love Afghan or love all the colors with a Paisley Love afghan in Paisley Pop. 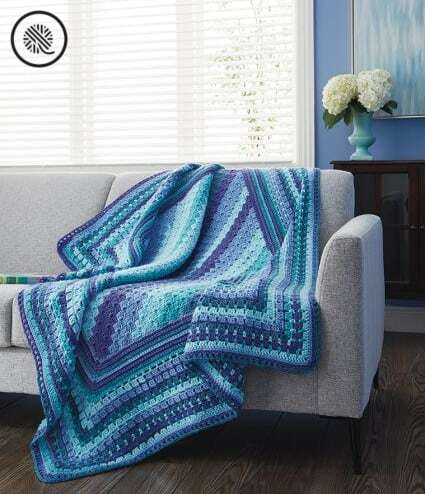 This beautiful stitch combo is absolutely gorgeous and adds to the wow factor of the Side to Side Blanket. 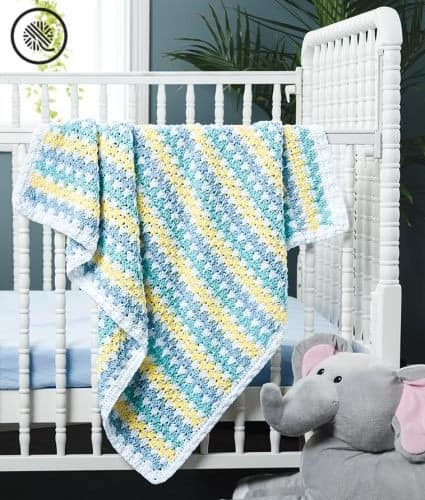 This is the baby blanket you’ll want to adapt to a full size afghan. The best part of this blanket is the yarn. Mary Maxim’s newest yarn line “Oh My” is one of the softest yarn’s you will ever feel. This single ply 100% polyester yarn comes in 16 beautiful colors and boasts gorgeous stitch definition. 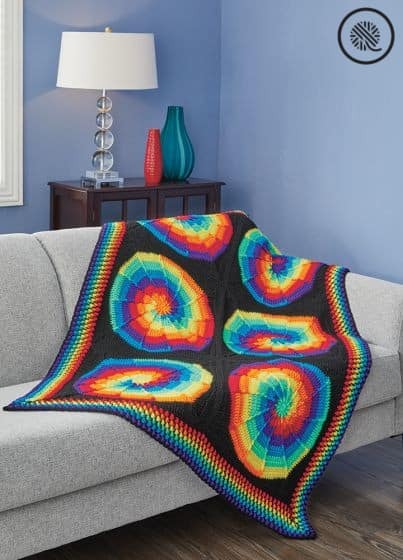 Crocheted swirls of bright colors create this fun Tie Dye afghan. Aside from the fun, retro vibe the design on this one is stunning. This afghan won third place the Mary Maxim annual design contest and is truly breathtaking. This kit is designed by Janice Slocum and includes Red Heart Super Saver yarn. 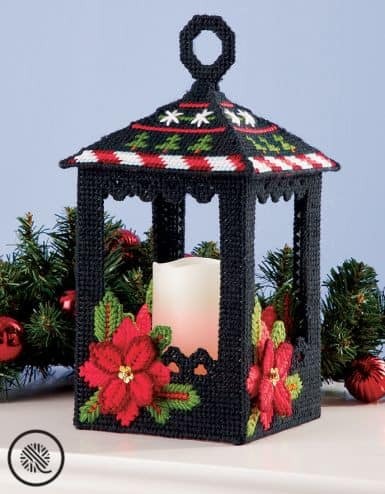 The Christmas Lantern kit makes a delightful holiday centerpiece. 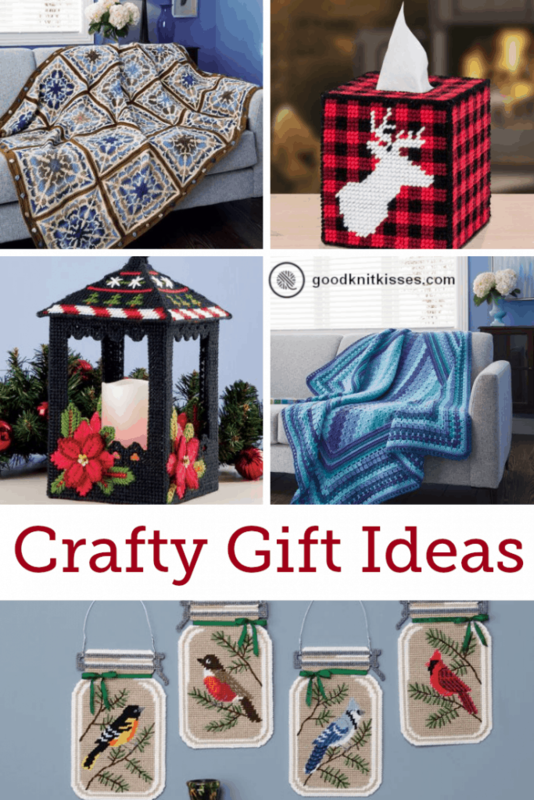 Kit includes canvas, yarn, needle and battery operated flameless candle. 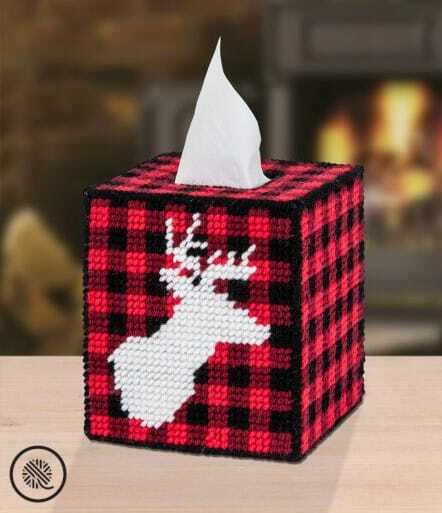 Buffalo check is all the rage right now and the Stag Head tissue box cover is the perfect trendy addition to your home. This kit includes everything you need to make the box. Mandalas are not just for crochet anymore! 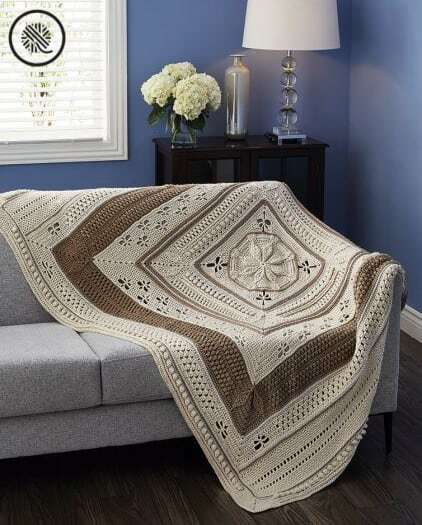 The Flowering Mandala Afghan features Fair Isle knit squares that are sewn together to create this masterpiece. Grand Prize Winner Billie Birchfield crafted magic again when she designed this stunning afghan using Mary Maxim Prism and Ultra Mellowspun yarn. The Ribbed Ragg Serape is the stylish and comfy winter garment to have for the winter season. Knit with Mary Maxim Starlette and Mary Maxim Starlette Ragg. Starlette is one of Mary Maxim’s oldest yarn lines and has 40 different colors to choose from. Customize it and make it your own! Let’s face it at the end of the day we’re here because we love yarn! That is always the perfect gift because it keeps on giving. Giving hours of enjoyment, satisfaction and relaxation as you work on a special project. Mary Maxim has dozens of unique yarns and opening a box full of those colorful, soft skeins will make you feel … well, like a kid on Christmas morning. See! Perfect! Now go browse the wonderful yarn selection and see if it doesn’t put a sparkle in your eye and warm your heart. 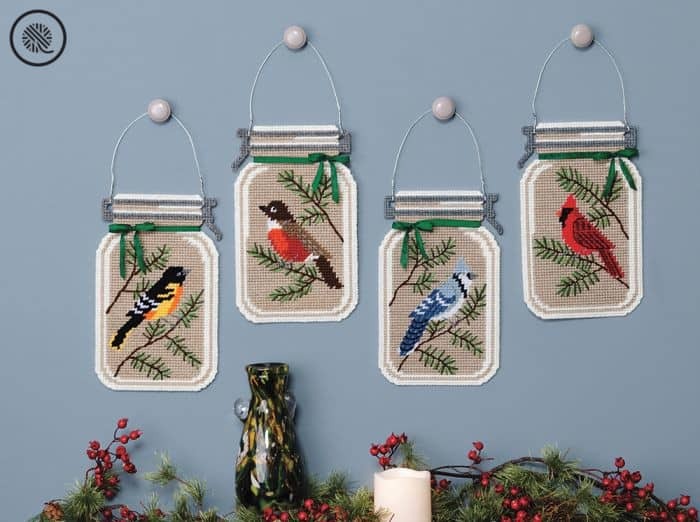 Mary Maxim is family run company that has been sharing the gift of crafting for over 60 years. Since the 1930’s when they sold their first spinning wheel and began manufacturing their first yarn product, the McPhedrain family has been committed to helping people discover their inner creativity. With over 45 yarns exclusive to Mary Maxim they are passionate about bringing the finest yarns, needlework and kit designs from all over the world to you. You can learn more about this excellent company here.